CUTCNC[CUTCNC? :cutting machine sample maker manufacturer] computerized mat board[mat board? :mat board computerized mat cutter] pattern cutting machine[cutting machine? :CUTCNC sample maker cutting machine] DCP[DCP? :packaging sample cutting machine]-1209X is widely used in galleries, cross stitch shops and photo frame factories. It can process 3mm thickness card paper[paper? 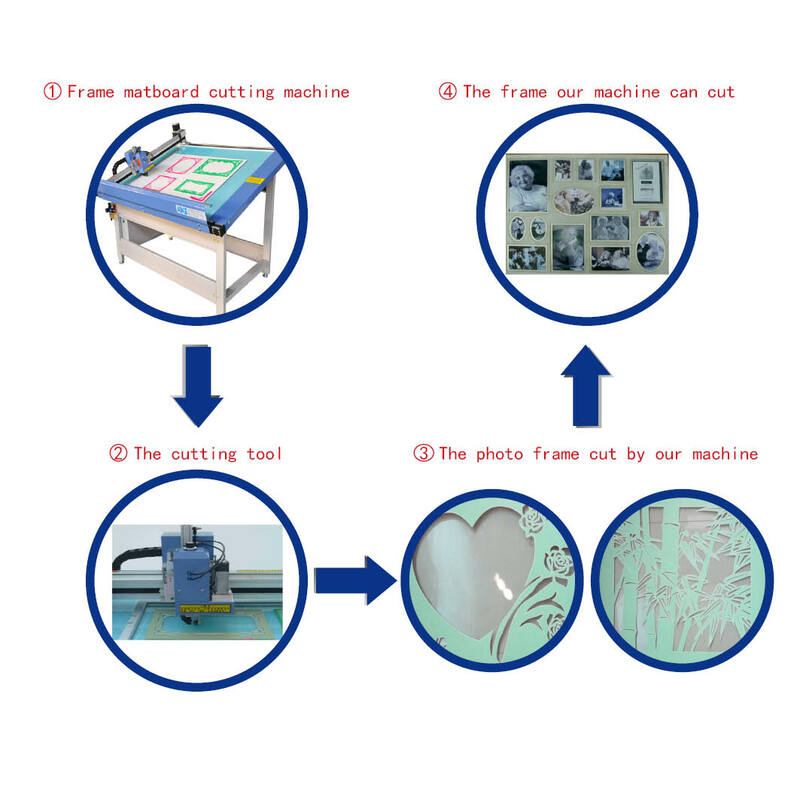 :paper sample maker cutting machine] and paperboard, and cut various frame inside mounts, cross-stitch card paper & paperboard carved patterns with 45°,55°and v-shape slot cutting. Our computerized mat board pattern cutting machine supports functions like positive and negative cutting,perfect angle cutting,automatic hole's identification, automatic image file's saving, preview before file imported, and timing. DCP-1209X computerized mat board pattern cutting machine supports high precision die cutting[die cutting? :die cutting] drawing up to 0.05mm.